Northern Lights Semiconductor Corporation (NLSemi) designs, manufactures and markets EMRAM (ElectroMagnetoresistive Random Access Memory) Integrated Circuits. EMRAM is a non-volatile RAM that combines the fast Read and Write performance of SRAM, and high data storage capability of DRAM. EMRAM IC is suitable for both embedded and stand-alone memory applications: such as existing volatile and non-volatile memory replacement, embedded memory on digital signal processor (DSP) based designs and micro-controllers. EMRAM IC's can be fabricated with CMOS, BiPolar and GaAs processes. NLSemi offers EMRAM packages from 4Kbit to 8Mbit for stand-alone applications. NLSemi also offers embedded EMRAM solutions with storage densities ranging from 96bit to 1Mbit. NLSemi’s corporate headquarters, product design, test, research and business operations are located in Plymouth, Minnesota. We are currently working with foundry partners in Taiwan (front end CMOS process), in Wisconsin (back end metallization and advanced packaging), and in Minnesota (back end metallization). 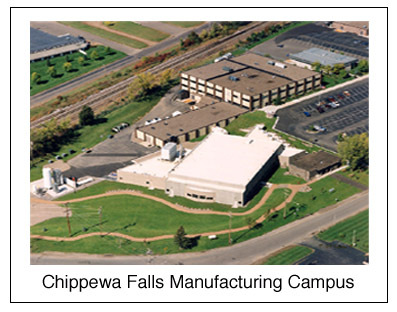 Our foundry partner’s manufacturing campus was constructed by Cray Research Integrated Circuit Operations of SGI. It supports three fabrication areas: a 6,000 square foot Class 1 clean room for IC manufacturing, a 3,000 square foot Class 100 clean room for IC packaging, and a 4,000 square foot Class 100 clean room for advanced packaging development. NLSemi currently has about 30 employees. Most have more than 20 years experience in integrated circuit memory design, magnetics development, integrated circuit process development, device physics, physical chemistry, mask making, advanced package development and packaging production, and test and inspection. We have significant metallization process capabilities and advance packaging expertise. Both are central to the fabrication of embedded and stand-alone EMRAM ICs. Information furnished is believed to be accurate and reliable. However, NLSC assumes no responsibility for the consequences of use of such information nor for any infringement of patents or other rights of third parties which may result from its use. No license is granted by implication or otherwise under any patent or patent rights of NLSC. Specifications mentioned in this publication are subject to change without notice. This publication supercedes and replaces all information previously supplied. NLSC products are not authorized for use as critical components in life support devices or systems without express written approval of NLSC.